On this Veterans’ Day weekend, our nation reflects on the sacrifices made by our servicemen and women. 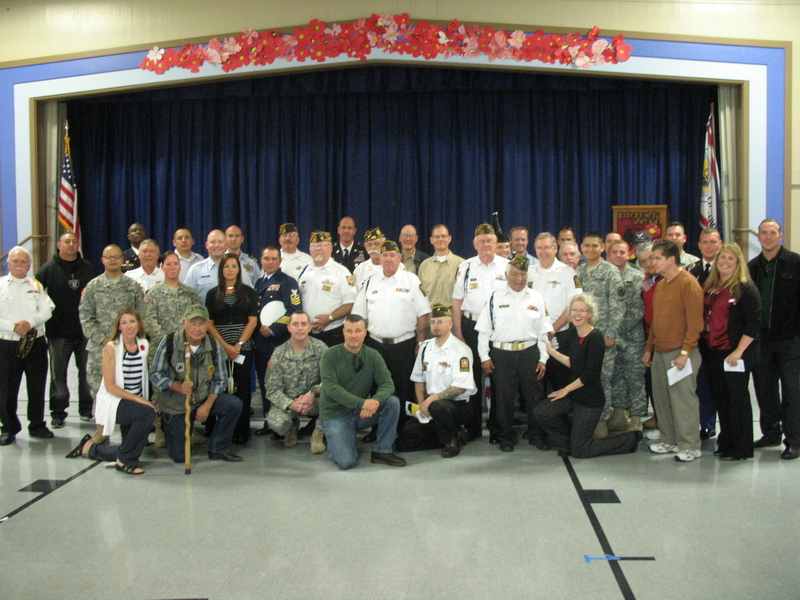 OneDublin.org would like to spotlight a fitting honorarium to these brave souls which was conducted at Frederiksen Elementary School last Friday. As decreed by President Woodrow Wilson in 1919, a November date would be established to honor all of those that have served our armed forces. For the sixth consecutive year, 1st grade teacher, Catherine Brown and Fine Arts Instructor, Jamie Perez, designed and executed a memorable assembly that would be meaningful for all in attendance. The multi-purpose room filled shortly before 1:00PM with all first through fifth graders and their teachers taking their assigned places. Rows of chairs at the rear of the room were reserved for active service people, veterans and their families. 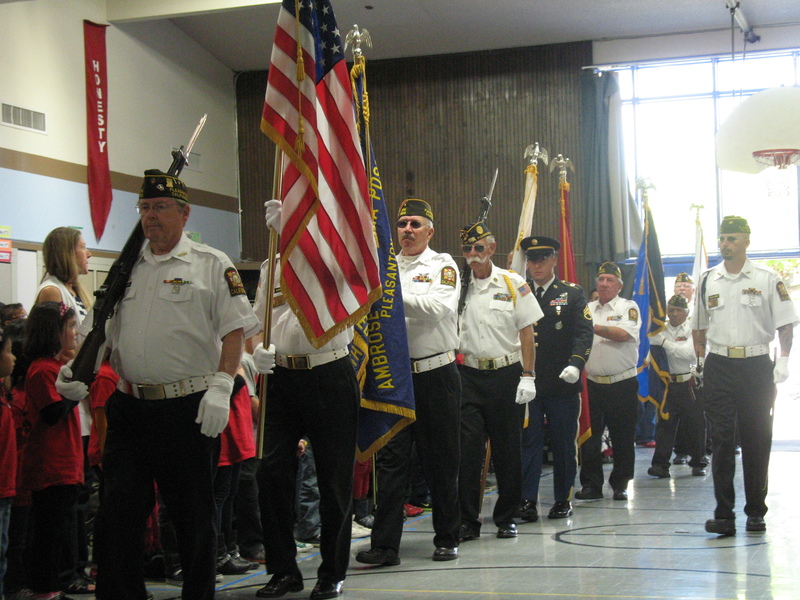 Members of the Pleasanton-based Veterans of Foreign Wars Post 6298 presented colors and the Pledge of Allegiance was led by Principal Holly Scroggins. 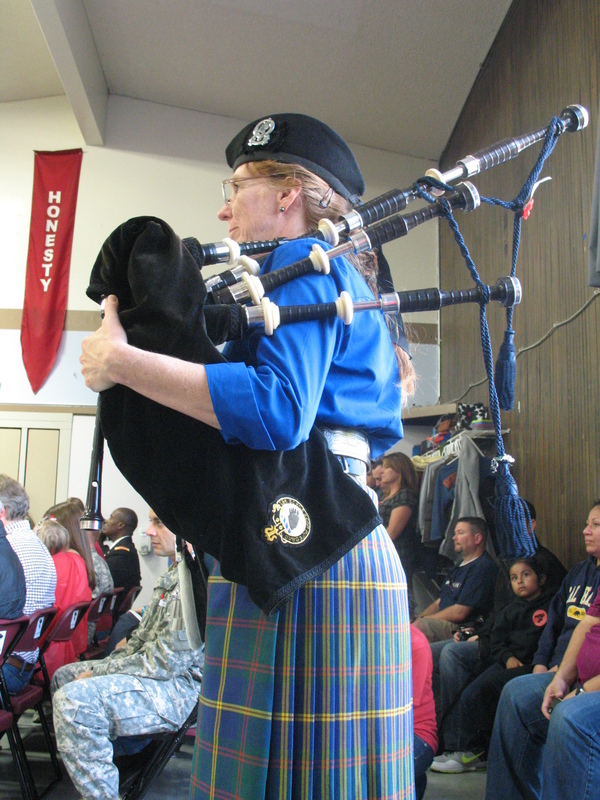 The ensuing program included musical performances by all grades, a slideshow and a stirring rendition of “Amazing Grace” on bagpipe by Donna Willy. In all, it was a memorable and fitting tribute to all that have served our country. To personalize this story, OneDublin.org reached out to two individuals that currently occupy different responsibilities, yet, share a common experience. Our first visit was with Command Sergeant Major Patrick McKie. CSM McKie serves under Garrison Commander James and is responsible for advising the Commander on all issues related to the base. There is also a natural linkage between the Parks Reserve Forces Training Area (RFTA) and Frederiksen. Roughly 20% of the students enrolled at Frederiksen reside at Camp Parks. 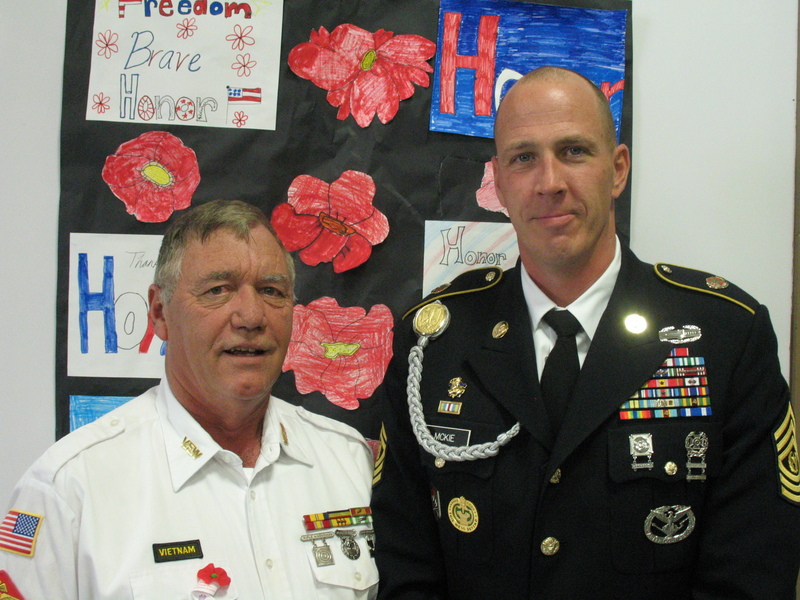 CSM McKie initially joined the Army in 1988 and has been assigned at Camp Parks since March 2010. 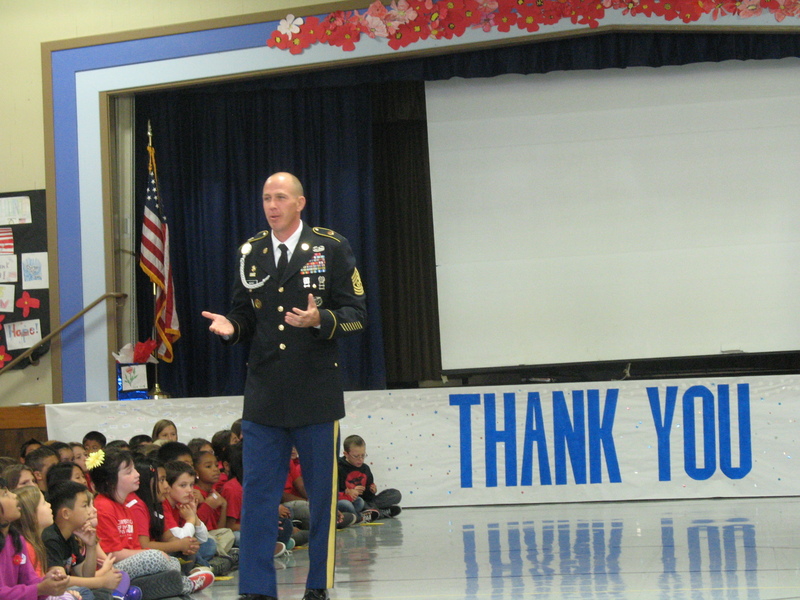 Additionally, he has a 3rd and 4th grader enrolled in the Dublin Unified School District (DUSD). McKie has also performed as a high school instructor in both Phoenix, AZ and Lincoln, NE. OneDublin.org: Frederiksen is the primary feeder school for elementary school students that reside at Camp Parks. Can you describe the relationship between your RFTA and the school? OneDublin.org: Help us understand what it means to the veterans and enlisted service people who are able to attend this assembly. OneDublin.org: In your presentation, you had made mention of the veterans that had made a sacrifice larger than themselves. Please expand upon that. OneDublin.org: Today’s message was “thank you” to all that have served. 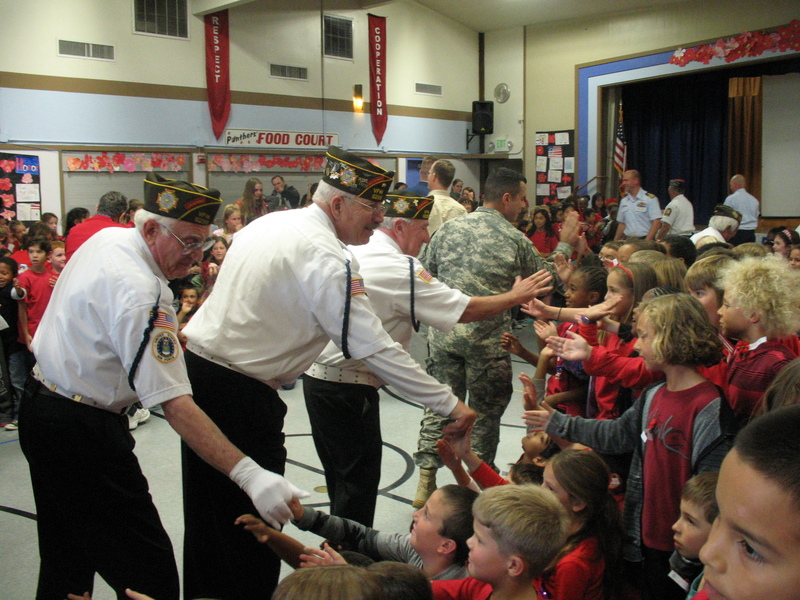 As we celebrate Veterans’ Day and move closer to Thanksgiving, what are you thankful for? Our second subject is a Certificated Staff member within DUSD. 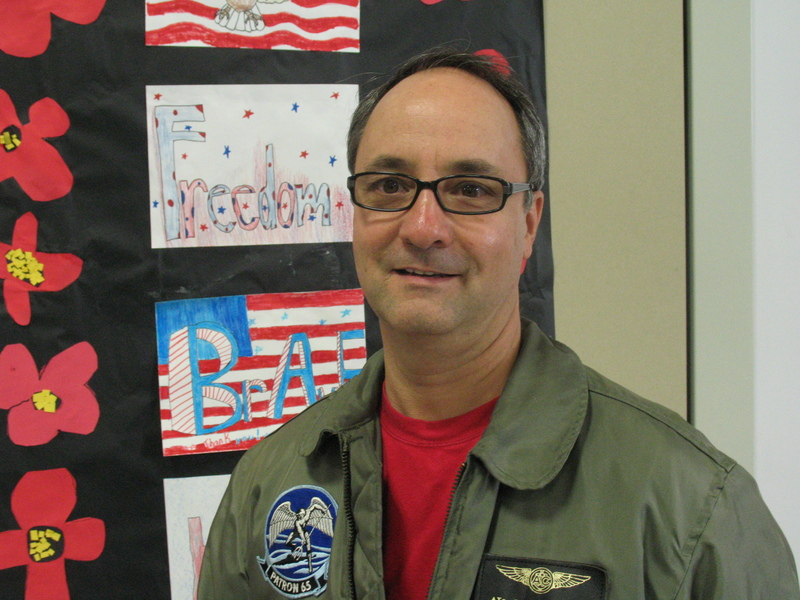 Candido Gomez followed a very successful career after working in operations for United Airlines by serving as an active and reserve member for the United States Navy from 1985 to 2005. These years took him to remote places such as Korea, Japan, the Philippines and Thailand. Half of these years were dedicated to serving aboard aircraft based out of Alaska in the P3 community. These four-prop aircrafts patrolled the Pacific Ocean searching for Soviet submarines. Among his responsibilities, Candido worked as a R&D technician on various experimental communications / tracking / detecting systems designed for the Special Forces. Presently, Mr. Gomez has been a 4th grade teacher at Frederiksen since 2008 – he was awarded a District Teacher Special Recognition later in that calendar year. OneDublin.org: You’ve now had the opportunity to experience this assembly several times at Fred. As a veteran, how does it make you feel that your school site makes this a priority? OneDublin.org: Particularly, at this time of year, how do you convey some of your service experience with your students and how do they respond to it? OneDublin.org: What lessons that you learned during your service time have you carried over into your current working life? OneDublin.org: Upon high school graduation, some of your students may elect to start their careers in the military. What might you say to support these students and their families with this decision? On behalf of OneDublin.org, we would like to thank all of our Veterans and service people serving home and abroad. We enjoy all of our freedoms because of you. 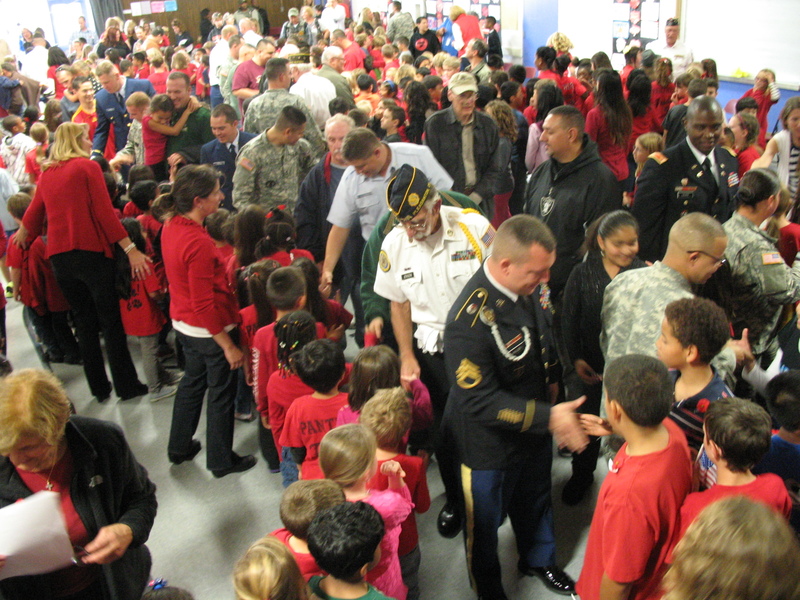 We also appreciate the efforts of Frederiksen Elementary School for celebrating this fact every year. To all: take a moment on this Veterans Day to thank those who serve our country – past and present.